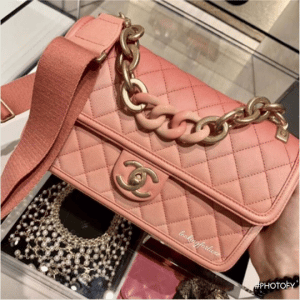 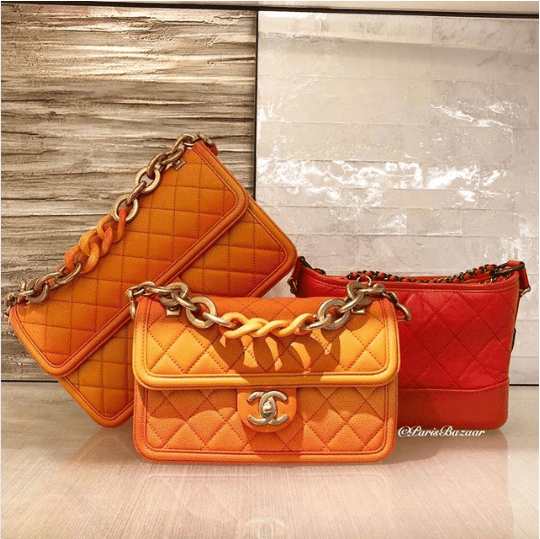 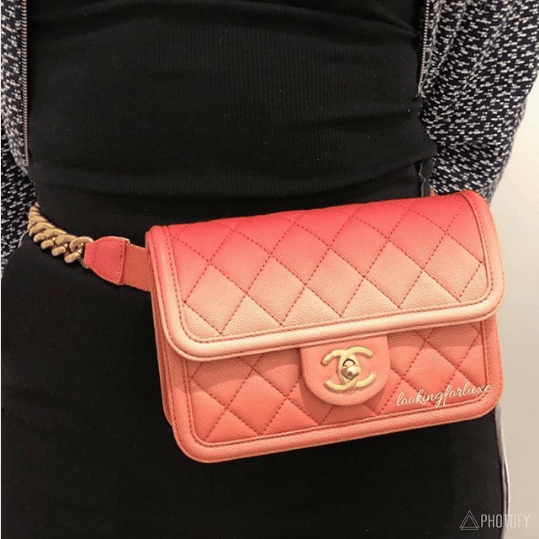 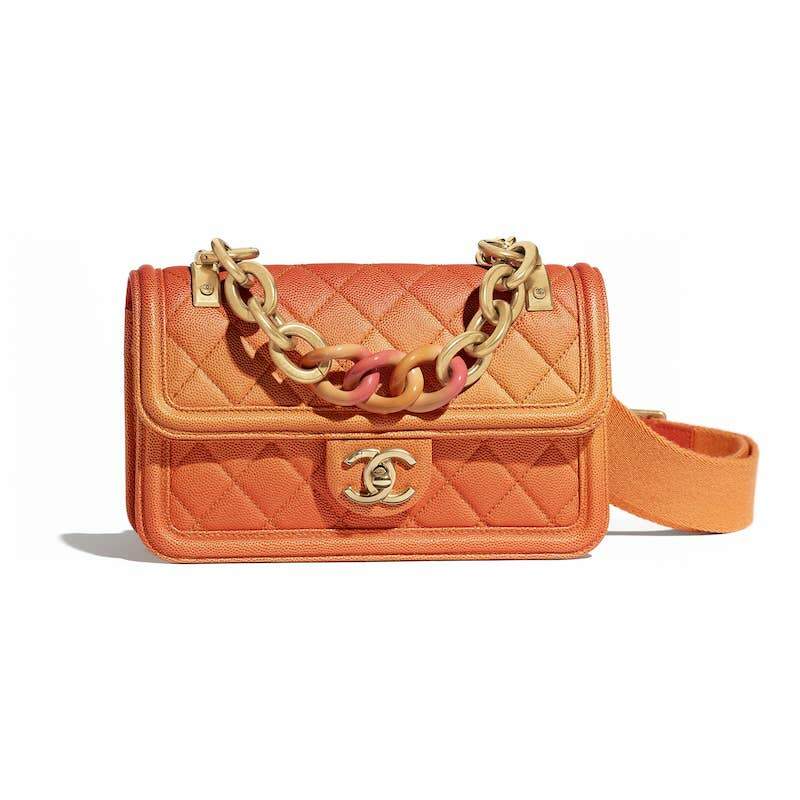 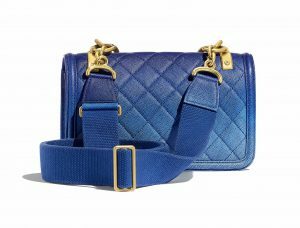 Introducing the Chanel Sunset By The Sea Bag. 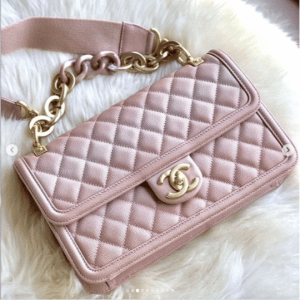 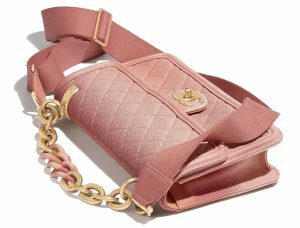 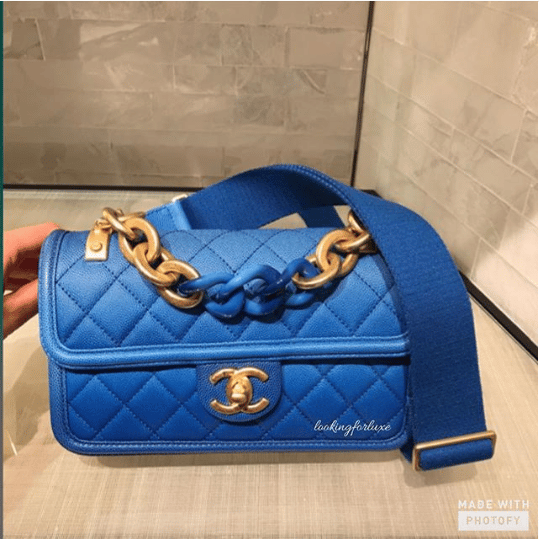 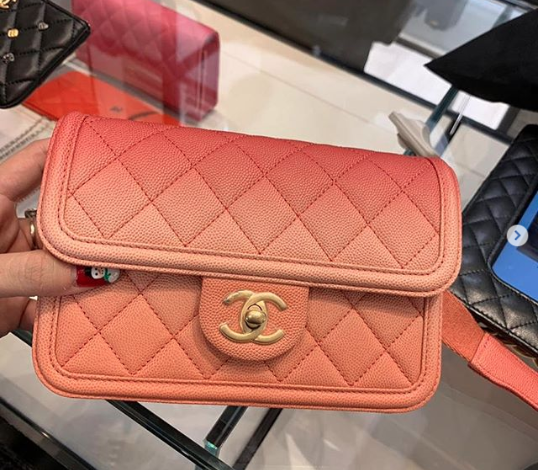 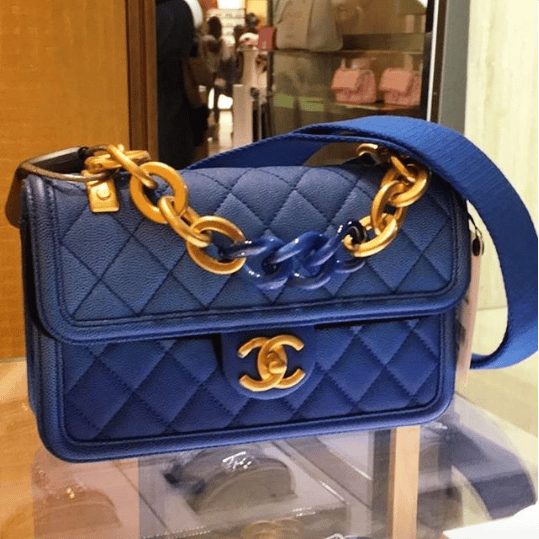 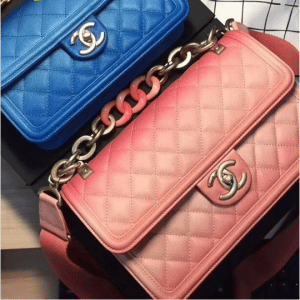 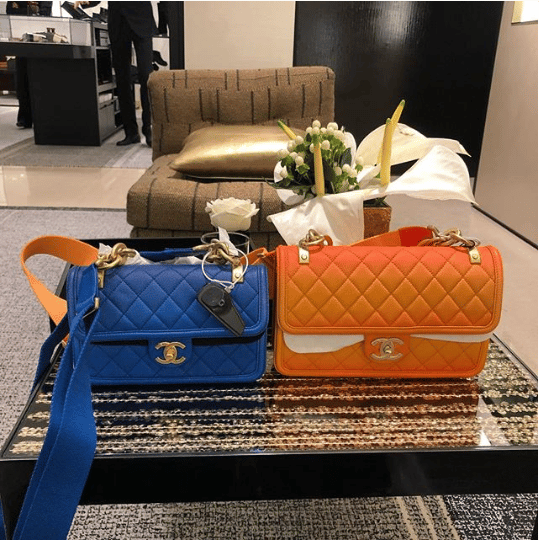 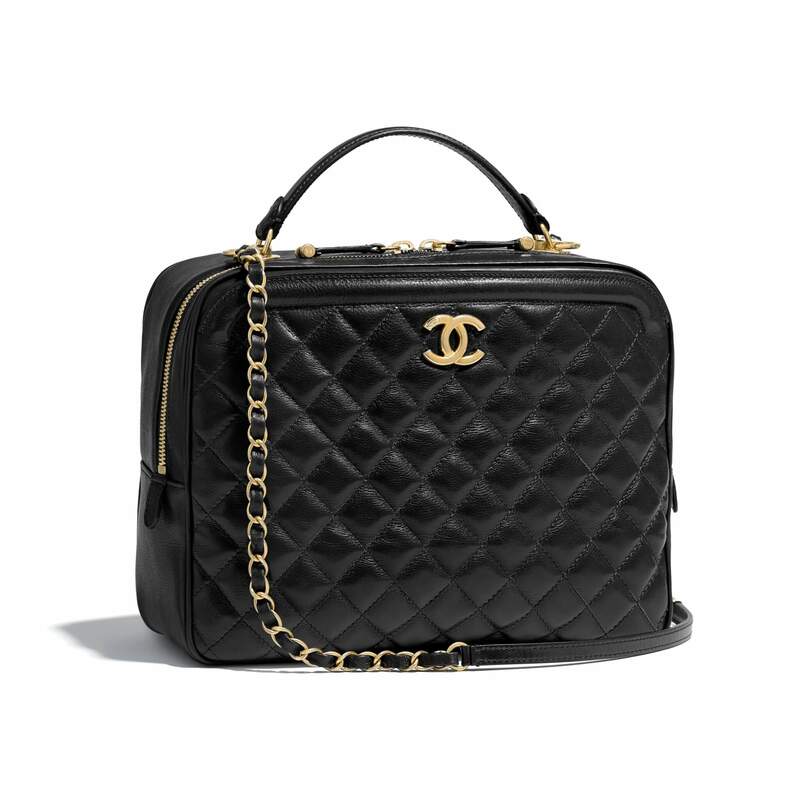 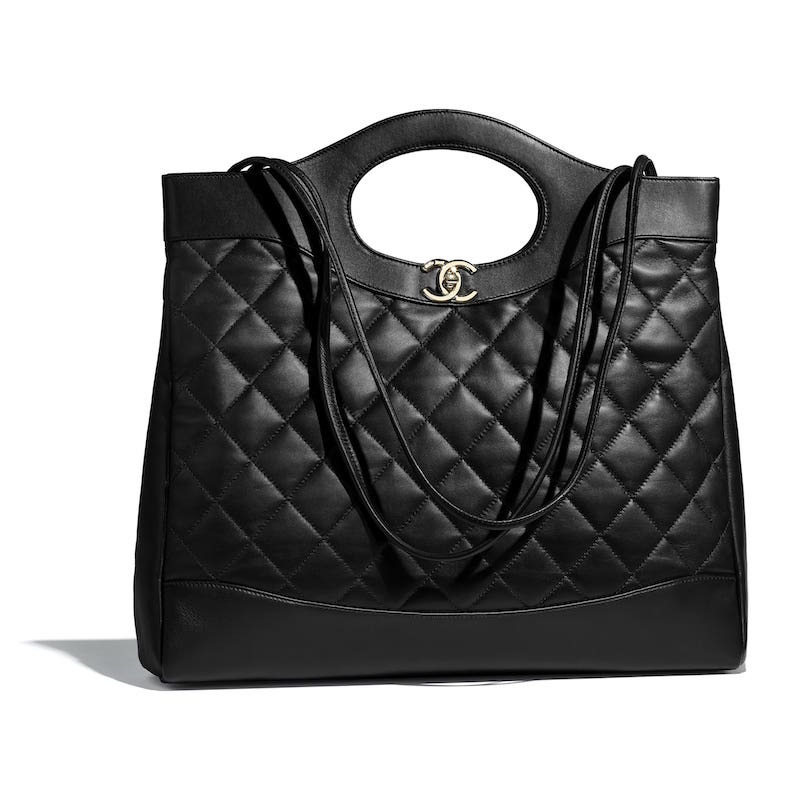 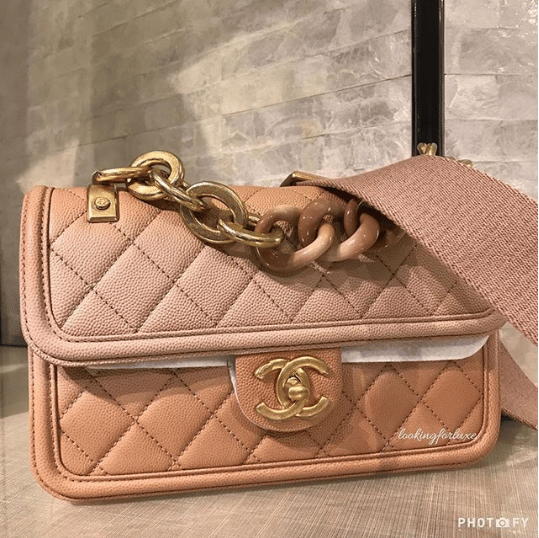 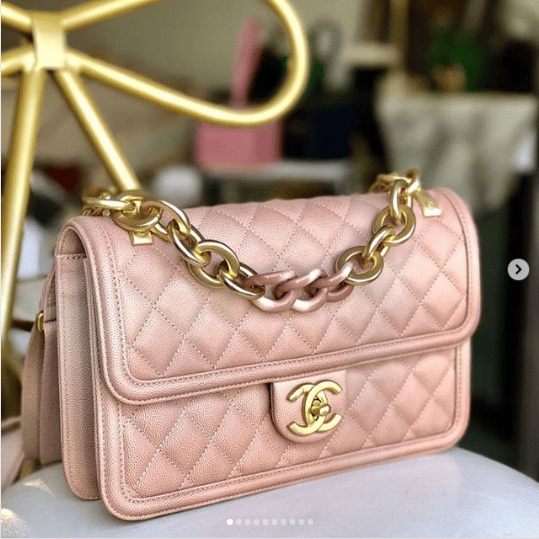 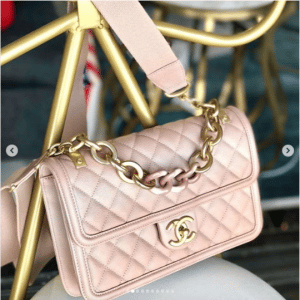 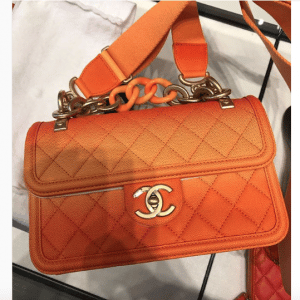 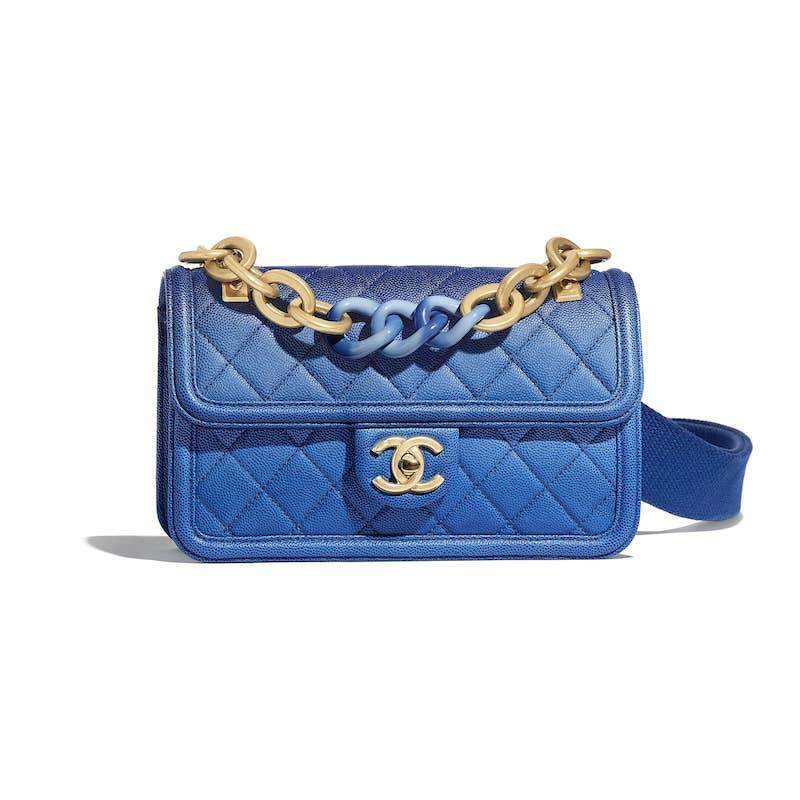 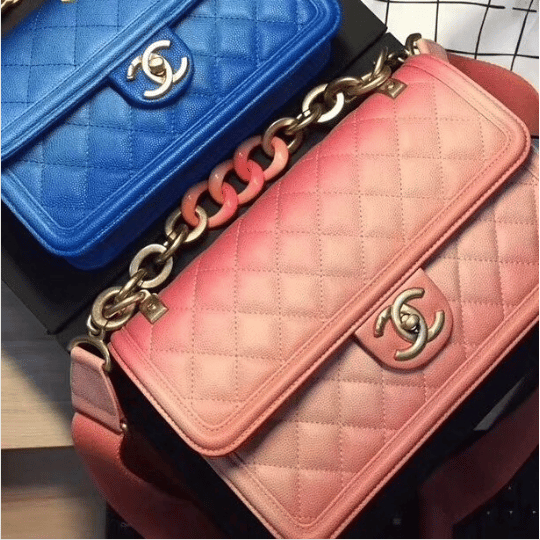 This new bag is part of Chanel’s Cruise 2019 Collection. 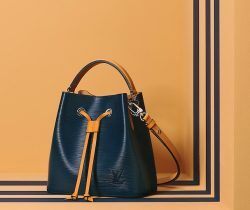 It is made of grained calfskin which features an ombre pattern that comes in four colors, coral, blue, beige and orange. 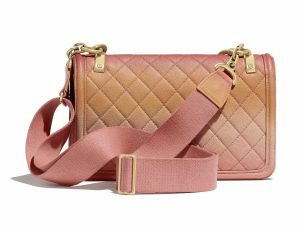 The bag’s handles are made of resin and gold tone metal and also includes a canvas strap. Available in flap and waist bag.